You’ve probably heard of credit scores as part of the conversation about financial literacy and applying for loans. This mysterious three-digit number can play a big role in the types of loans and services you qualify for. In this post, we’re going to demystify credit scores by exploring what they are, why they’re important and how we can check them. The more we expand our knowledge about aspects of our financial life, the better prepared we’ll be for a successful future, so let’s go! Payment History: The biggest factor in your credit score is whether you have paid your previous loans back on time. Amount of Debt: The outstanding debt you already have on your credit card and other loan accounts plays another big role in determining your credit score. Length of Credit History: A lesser but still substantial factor in determining your score is the length of time that you’ve had a relationship with lenders. The most popular type of credit score is called the FICO score. FICO is named after the creators of the score, the Fair Isaac Corporation. Lowest to highest, FICO scores range from 300 to 850. A score of 670-739 is considered ‘good,’ 740-799 is considered ‘very good’ and 800-850 is considered ‘exceptional.’ The average credit score for people between the ages of 18 and 24 is 630, according to Credit Karma. 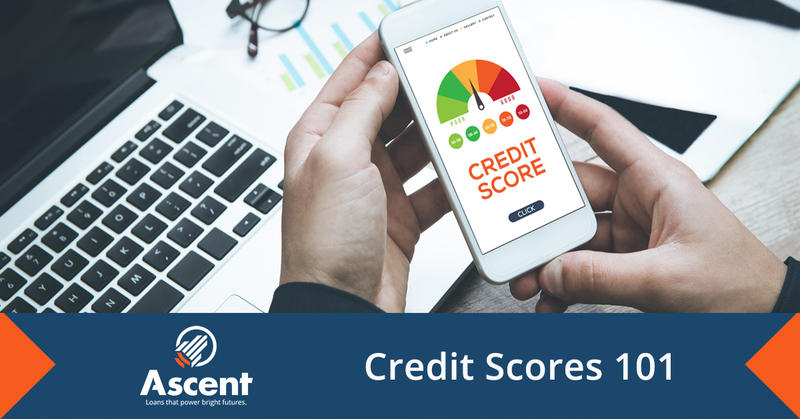 Your credit score can affect many aspects of your financial life, including insurance premiums, interest on loans (including student loans), credit card rewards and costs for utilities, including cell phones. Your score can even affect your ability to rent a living space, with many landlords giving preference to prospective renters with higher scores. Though you may not be thinking about taking out a home loan anytime soon, it’s never too early to learn the importance of credit scores. Just How Much Do Credit Scores Matter? Let’s look at how a good credit score could turn into serious cash savings. According to information from myFICO, someone with a low credit score could pay nearly $70,000 more on a $200,000 home loan than someone with a high one. This is because those with better scores usually receive better interest rates. As we can see, those three numbers on a credit score can add up to a lot of money! When it comes to understanding your credit score, you’ll want to get your hands on a credit report to interpret what the numbers mean. Your credit report lists the information that lenders have reported to credit bureaus, including your borrowing history and any delinquent or defaulted loans. Checking your credit report can help ensure that there are no errors that have been falsely reported. If you find an error in your credit report, you can notify the credit reporting agency in writing using this sample dispute letter from the Federal Trade Commission. There are three main credit bureaus: Transunion, Equifax and Experian. These bureaus are required by law to provide you with a free credit report once a year. Though it’s possible to contact the credit bureaus directly for your reports, the official source for your free annual credit report is AnnualCreditReport.com. In addition, many banks and credit card companies offer to give you your score for free. This can be used as a periodic check-up in between your annual credit reports. By adding knowledge about credit scores to your financial literacy know-how, you’ll be equipped to stay financially strong for your entire life. 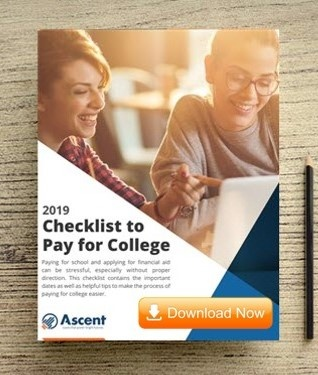 Ascent Student Loans is committed to providing students with the information they need to succeed financially in college and beyond. Be sure to check out our blog section often to keep up on the latest financial aid news and learn some tips and tricks of your own. Whatever your educational and professional goals are, Ascent is here to support your successful future.